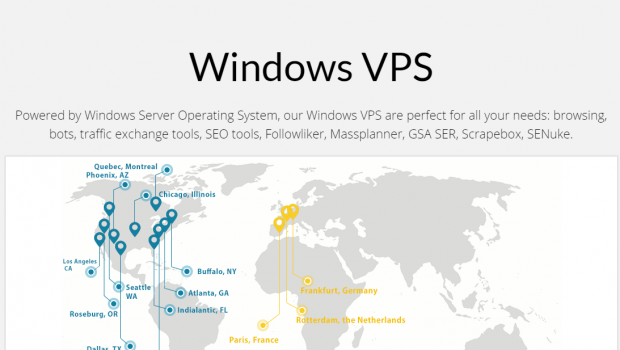 The GreenCloudVPS Windows VPS are perfect for all your needs: browsing, bots, traffic exchange tools, SEO tools, Followliker, Massplanner, GSA SER, Scrapebox, SENuke. 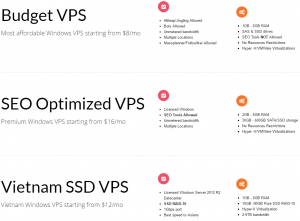 Budget VPS: The most affordable Windows VPS starting from $8/month. SEO Optimized VPS starting from $22/month. GreenCloudVPS is a worldwide leader of Virtual Private Server and Dedicated Server services. From datacenters in the US, Canada, the Netherlands, Vietnam and France, GreenCloudVPS powers thousands of VPS and Dedicated Servers and supports customers from over 130 countries around the world. GreenCloudVPS caters for individuals, users, small and medium businesses as well as larger enterprises with their range of services and plans. GreenCloudVPS offer 24/7 Ticket support with average ticket response of 30 minutes. GreenCloudVPS is a Microsoft SPLA partner, which will bring you benefits from using Microsoft License and support. GreenCloudVPS offers 99.9% network uptime on all virtual servers and dedicated servers. GreenCloudVPS offers fully scalable solutions. 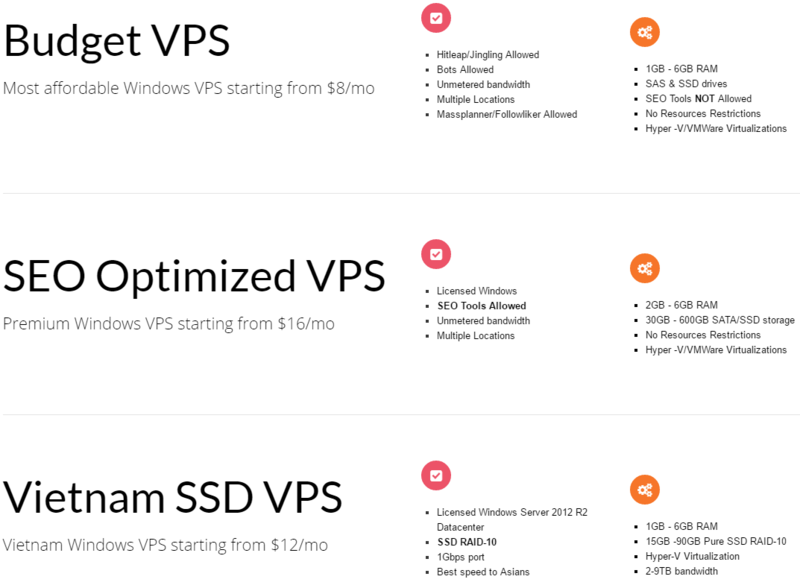 You can upgrade your VPS any time as your business grows.